which confirms the viability of certain Bitcoin transactions. Like the central bank in China, the Inland Revenue Authority of Singapore (IRAS) took the position that Bitcoin is not a type of money or currency. This is still an unsettled question in other jurisdictions. Even if Bitcoin is not currency, transactions in Bitcoins can lead to profits which the Singapore authority is happy to tax, at least in some situations. According to the IRAS guidance, short-term speculative transactions in Bitcoins will be taxed, while capital gains generated from long-term investment will be tax free. The IRAS guidance also distinguishes using Bitcoins in purchase of physical goods (taxable) and of virtual goods (not taxable). 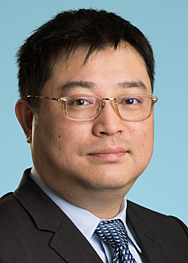 The IRAS guidance has been warmly welcomed within the Bitcoin community in Singapore for being “rational and well thought-out.” Some observers believe that, given the embryonic state of the Bitcoin economy, an incremental and pragmatic approach to regulation makes more sense than attempts to impose blanket definitions or characterization, let alone any outright prohibitions, on transactions in this new and emerging unit of value.